Join us for our 2018 Human Services Grant Award Luncheon! We will be awarding $60,000 in grants, $30,000 each to two local non-profits supporting women and children in our community. Our keynote speaker is Risa Goluboff, the 12th and first female Dean of the University of Virginia School of Law. NOTE: This year’s luncheon will be held at The Boar’s Head Inn Pavilion in Charlottesville, VA. 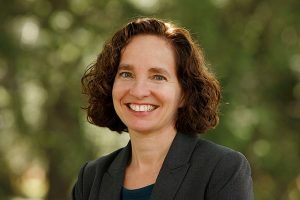 Learn more about Dean Risa Goluboff HERE. If you are a current Women United in Philanthropy member, you receive a discount on your ticket, and may reserve a table of 10 at a discounted rate. Sponsorship opportunities are also available. Includes designation as Presenting Sponsor (ex: Luncheon presented by “name of your organization”) on invitation, in program, and on select marketing materials, a reserved table for 10 at the front of the room, logo and link on the event and sponsor pages of our website, logo on signage at the event, mention in the program, social media & email campaign recognition, plus logo on any applicable visual advertising, mention during radio promotions, and verbal recognition at the event. Category Exclusivity at this level. Includes a reserved table for 10 near the front of the room, logo and link on the sponsor page of our website, logo on signage at the event, mention in the program, and social media & email campaign recognition. Includes a reserved table for 10, listing on the sponsor page of the website, and mention in the program. If selecting a Member Table, reservations must be made in that member’s name. When purchasing tickets or tables for non-members, please select the non-member option.